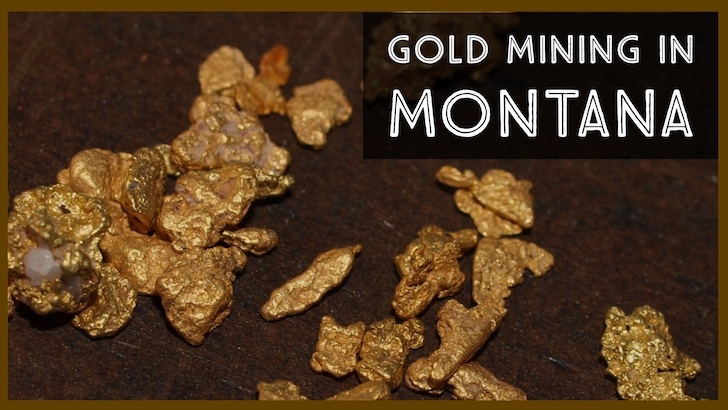 Montana has a rich mining history, and the state is ranked as the 7th largest producer of gold in the United States by the US Geological Survey. The vast majority of gold districts in Montana are in the western part of the state, near the border of Idaho. The geological conditions are more favorable in the rugged mountains along the Continental Divide than the flatter two-thirds of the state. The first gold discoveries in Montana occurred in 1852, but it was the major strike on Grasshopper Creek in 1862 that brought gold seekers into the southwest corner of the state. The town of Bannack (west of present day Dillon, Montana) was built and soon thousands of miners were scouring the creeks and hillsides for the yellow metal. 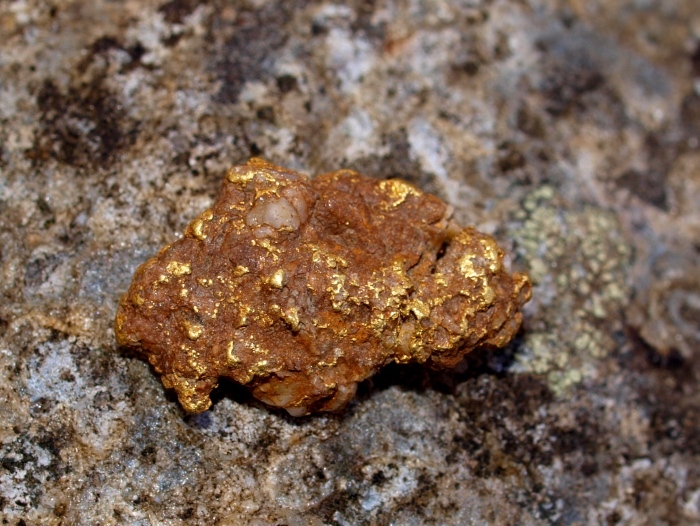 By the spring of the next year, huge gold deposits were found in Alder Gulch at Virginia City. Modern day prospectors will be right at home in Montana. The state has produced thousands of ounces of gold each year since the initial discoveries here over 150 years ago. There are hundreds of locations that gold can be found in the state, much of it on federal lands open for mineral exploration. The creeks and rivers near the old towns of Bannack and Virginia City still have gold to be found. Missouri River near Helena, Montana, site of the Last Chance Gulch gold strike. The headwaters of the Clark Fork of the Columbia River near Butte, Montana. Much of the gold production in this region has come as a byproduct of the massive copper produced from this area. 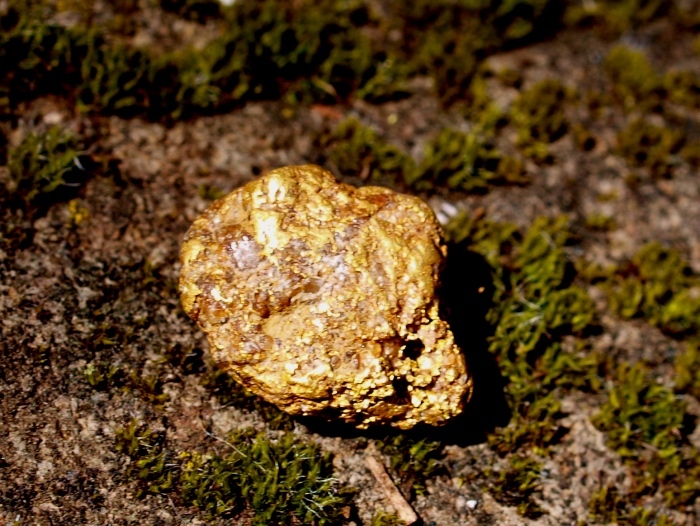 The Highland Centennial Nugget was found not far from Butte, and weighed over 25 ounces. Confederate Gulch east of the Missouri River between Helena and Townsend. This was one of the richest placers in Montana history; some gravels reportedly paid over $1000 per pan! Nearby areas also include Boulder Creek, Cement Gulch, Montana Gulch, and Montana Bar. Hydraulic operations were operated on much of the ground in this area. The Ottawa District in western Montana produced rich placer deposits in Silver Creek, and many lodes have also been found since. Rich lode deposits were found in the Georgetown District west of Anaconda. Far east of most of Montana’s gold districts is the Kendall and North Moccasin Districts in Central Montana. Much of the gold here was in the form of low grade ores. The Radersburg on the eastern flank of the Elkhorn Mountains. Placer gold is present in many of the creeks in this area. The Jardine District is located north of Yellowstone National Park. It has extensive hardrock deposits, and has also produced its fair share of placer gold as well. The entire area around Cooke City, Montana has significant gold. Much of it can be found in small lode deposits and prospects that are scattered around the region. Montana is a huge state, and there is no doubt that many rich gold deposits are yet to be discovered. Large gold nuggets have been found here, so a metal detector would be an ideal prospecting tool if you are searching for gold. Panning, sluicing, and dredging will all produce gold if you find a good area. Remember that although Montana has a significant amount of public lands open to prospect, much of the richest and easiest accessible areas are already claimed. Respect the rights of mineral claim owners by always getting permission before doing any prospecting. If you are only panning or using a small sluice box, claim owners will often grant you access to do some prospecting. If not, continue exploring and you should be able to find a good area to prospect without too much difficulty.